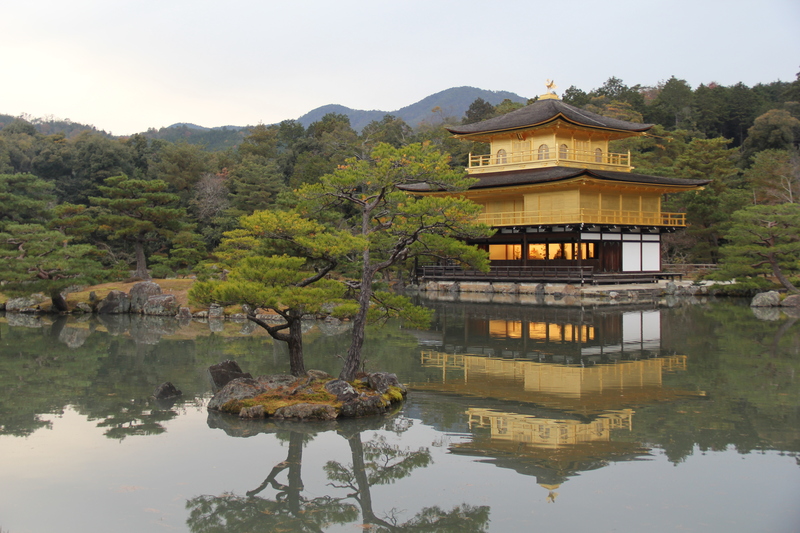 Part #8: The Very Gold Golden Pavilion | Nam Writes. 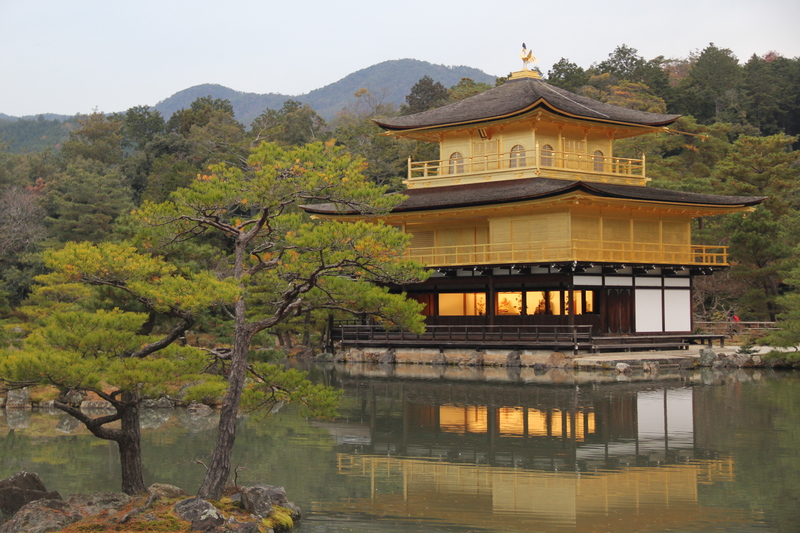 Unlike the not-so silver Silver Pavilion, the Gold Pavilion in northern Kyoto is indeed very gold. 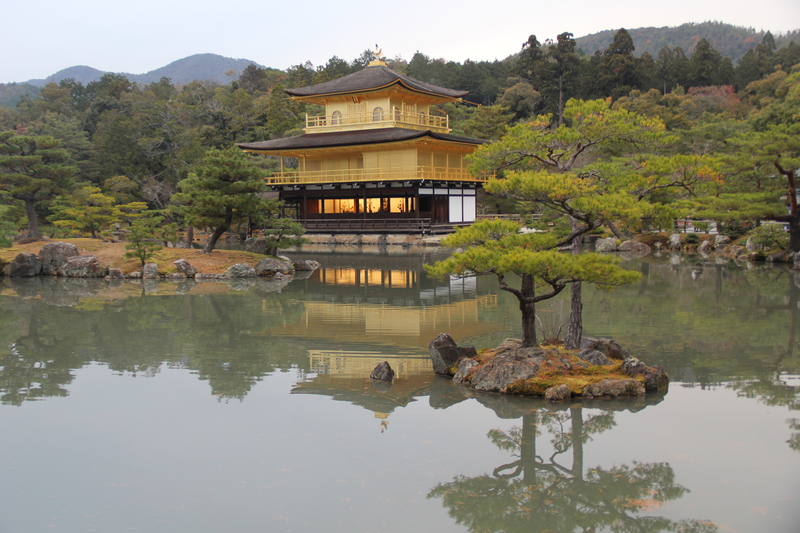 Kinkakuji, as its known in Japanese, dates back to 1397, but has been destroyed several times and subsequently rebuilt. The current structure was rebuilt in 1955 after it was burnt down by a fanatic monk in 1950. Kinkakuji’s top two levels are covered in gold leaf, hence the title. 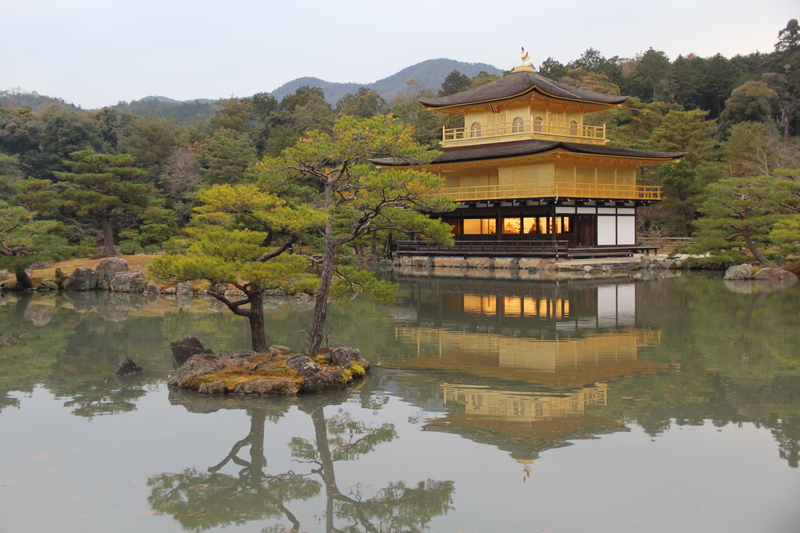 There isn’t much to do at Kinkakuji but admire the glimmering building and its gold reflection, but that was enough for me. Kinkakuji is not the most convenient of tourist attractions. 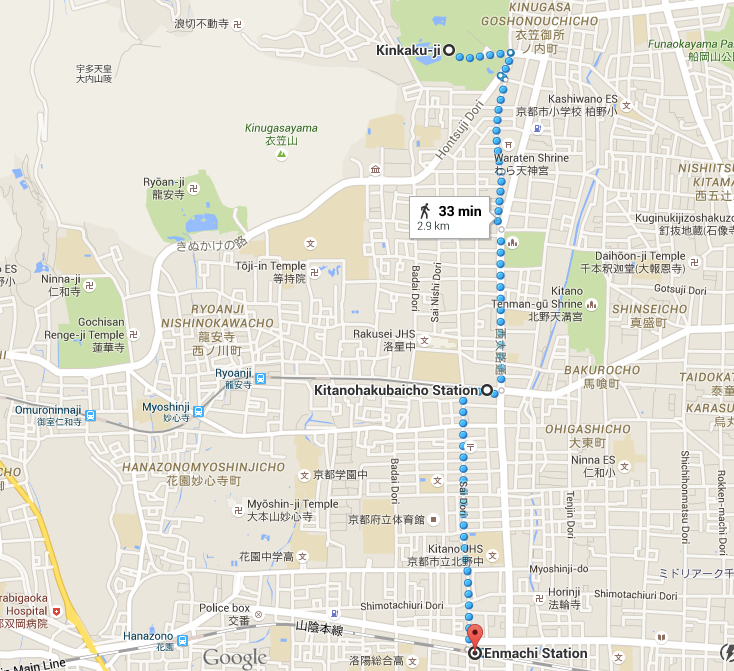 The closest subway stop is Kitano-Hakubai cho, and it is still a 20 minute walk north. The more accessible Emmachi Station is a 33 minute walk. I am proud to announce that I took the bus like a genuine local and did not get lost!